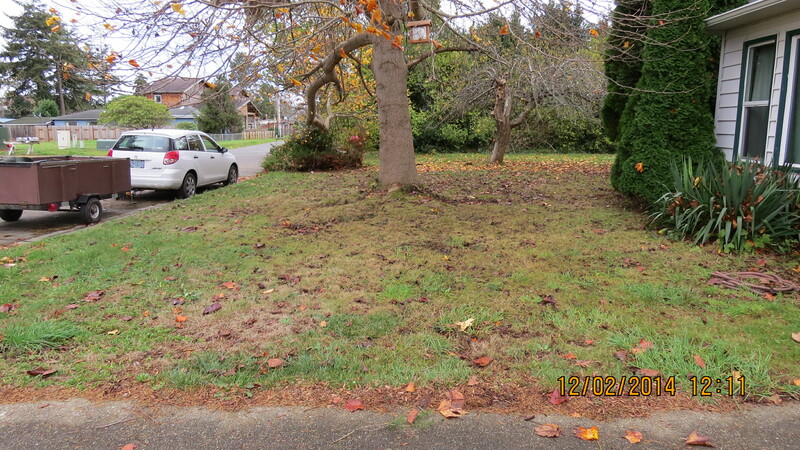 I just love the smell of leaf mold after it’s been sitting for a while. 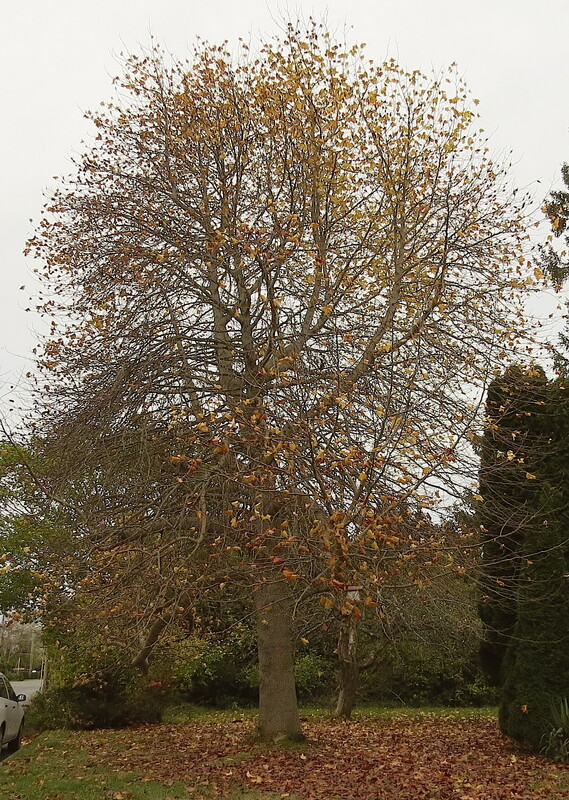 Good to meet a fellow bee keeper and I love your tulip tree. They grow here in Austin, though maybe not the same variety and definitely not as big. (Contrary to popular belief, not everything is bigger in Texas….) I have a son in Oregon–love, love, love your friendly and beautiful state. And the hat. Like that hat a lot! Believe it or not, Tulip trees grow tall east of the Mississippi…so tall that it’s hard to see any blossoms because they are hidden high in the foliage. They are considered a main nectar crop for bees in Kentucky and Tennessee. Maybe you’ll see bees on your Tulip trees when they blossom. Yes, I’m lucky to live in Oregon. I grew up in the desert country of Arizona. 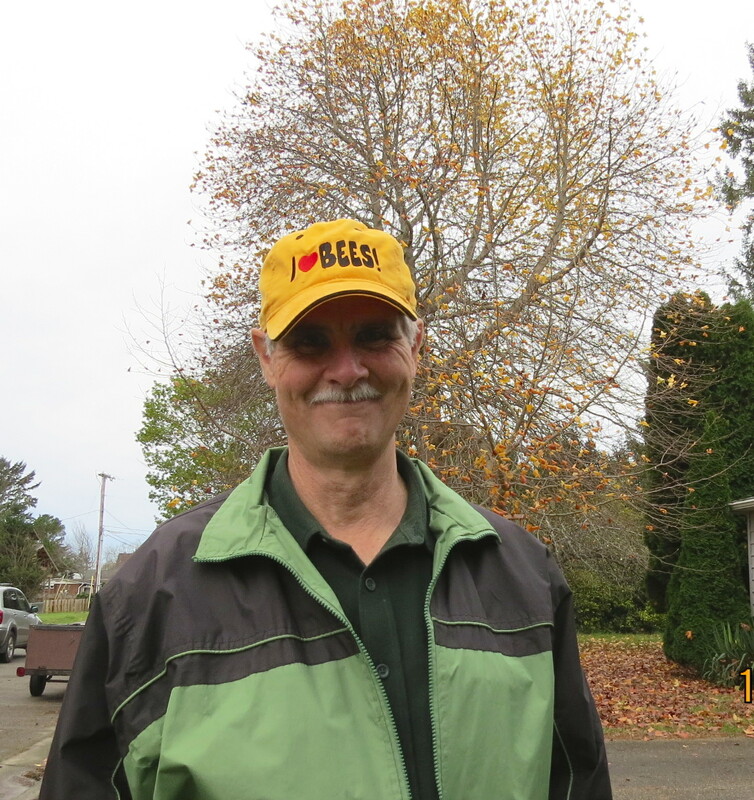 While I liked it then, I sooo love the greenery and mild temperatures of the Oregon Coast. Loved the music, wish I could have been there to hear it. There’s something about those Appalachian tunes that really grab me. I was happy Steve let me record him singing it in person even if my camera skills were not that great. Love this, and love the raking technique! I have been wanting to do this following a tree think, but wonder when the best time to start is. Maybe now, when are totally disrobed? A beautiful tree. 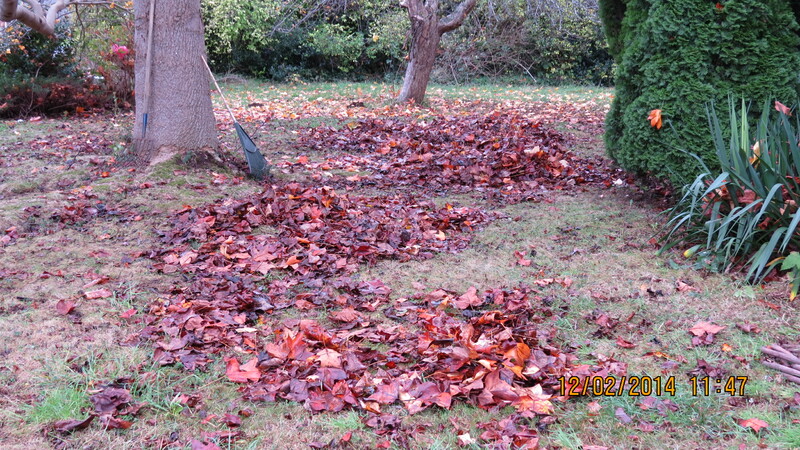 And leaf mould! What fabulous stuff it is! Almost good enough to eat when it is all mature and crumbly. 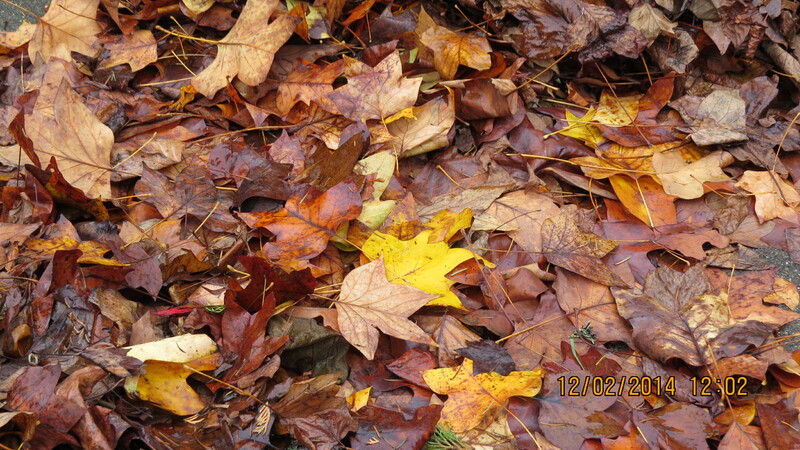 What lovely colours, what beautiful leaves! 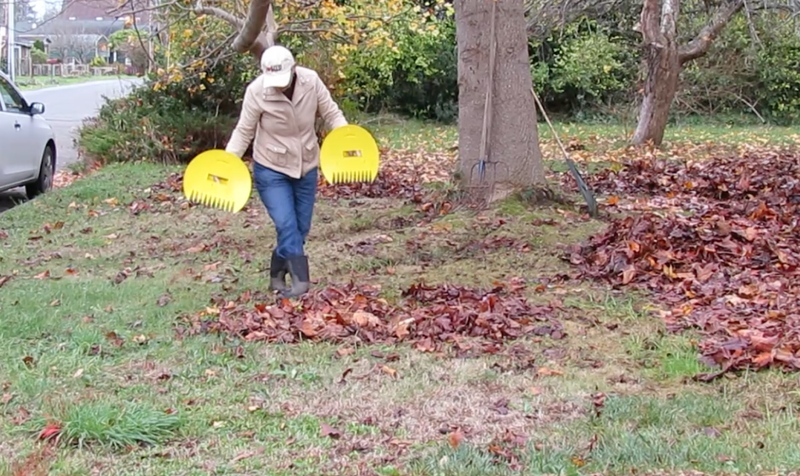 Loved the raking leaves video. 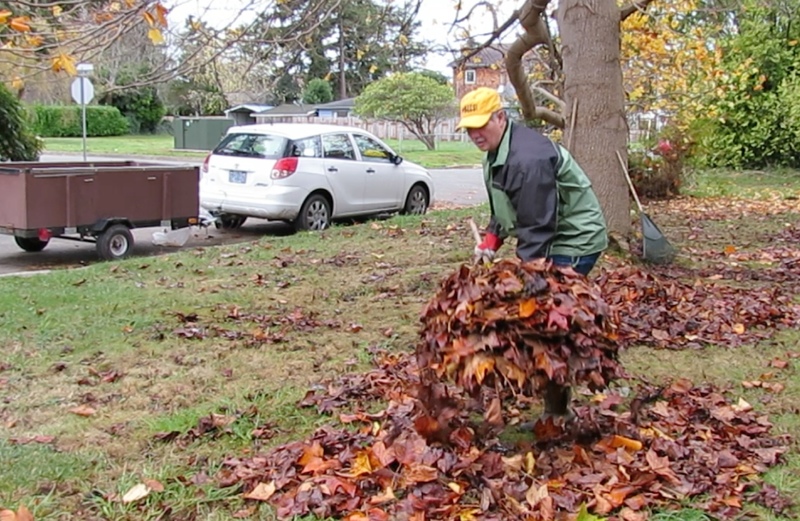 Aren’t leaves a wonderful, free resource? 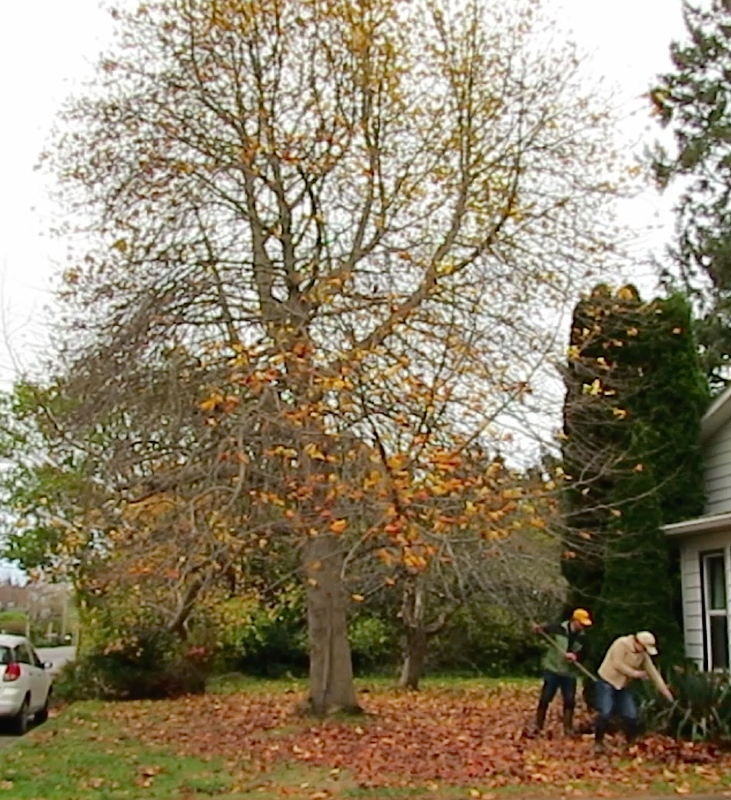 We wanted a lot of trees on our homestead for firewood and didn’t think of how precious all those fallen leaves would be. Now, we will be putting some leaves in the compost structure that you saw, and we have oodles of free mulch for our new garden beds. Love your blog. Thanks, Eddy, and I’m glad to see you’ve moved into your home-built, straw bale house. Malina looks so happy, and I’m guessing you and Gosia are too.